What’s the best spot for a solar installation in a chilly Northeastern home that’s no stranger to a fierce winter blow? Or what about on a hot desert property, that’s sun-drenched 90 percent of the year? Careful—the answer is more complicated than it seems! It’s tempting to think that solar only perform well in sunny, hot climates—it is called “solar” power, after all. Still, solar cells don’t necessarily love the sun, or at least not the heat that comes with it. Cells work because of electrical processes, but those processes can become sluggish or inefficient when the panels get hot. In fact, many solar panels demonstrate better output when the weather is a little chilly outside. 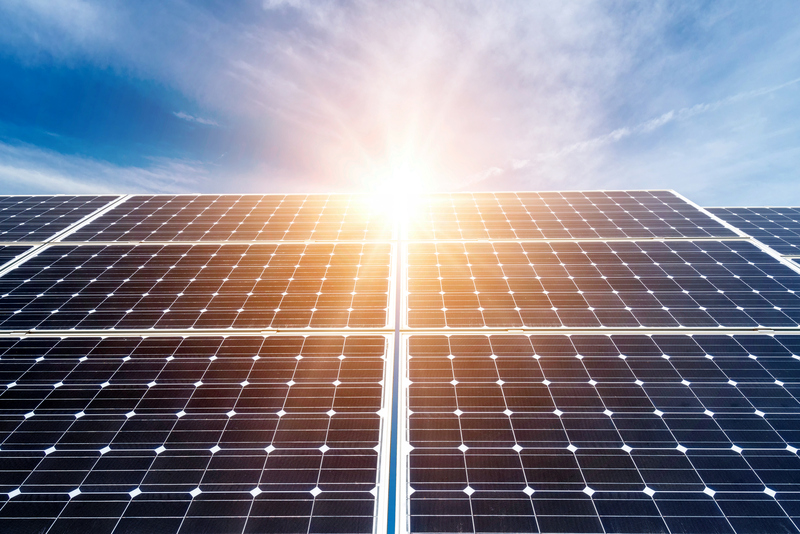 There are several different types of solar cells, and their makeup can affect your solar system’s performance—especially if you live in a particularly sweaty climate. To help you pick the best type for your hot-weather home, we’ll run through the differences and give you some resources for more in-depth research on your own. Check it out below! If solar energy conversion happened in a factory with temperature controls, you’d probably have great conversion efficiency, but unfortunately that’s not the world we live in. In real life, the sun comes with heat—as well as light—and that heat can slow down your unit’s inner workings. Specifically, rising temperatures create internal resistance inside the solar equipment. In a nutshell, solar works because systems are able to capture the energy created when electrons go from a resting state to an excited state. That transformation happens when the sun shines on the cells, but when the temperatures are hot, the heat also excites the electrons. Therefore, the shift in the electrons isn’t as great—and when that ratio is off, there’s not as much power. You can think about it like a giant cell phone—have you ever tried to use your phone or tablet in the sun and noticed that it just didn’t work as well, or that the screen was harder to see? It’s not just the sunlight—the LEDs don’t work as well in the heat, due to the internal resistance that comes with high temperatures. Of course, that doesn’t mean you should abandon all hope if you live in a hot climate. In the Northern hemisphere, these spots tend to be located due south—and because of their location, they’re also oriented to receive more sunlight. So even if you do get some inefficiencies from the heat, you still have plenty of opportunity to make up the losses. Thin Film Solar Cells: These aren’t as efficient, but they still use less silicon than older types of panels—namely, crystalline silicon. Since they’re less fragile, they can be used in a number of applications beyond roof-mounted installations. Crystalline Silicon Solar Cells: These solar cells are made of layers of silicon and electrical contacts sandwiched into a thick rigid wafer. They have overall better efficiency levels than thin film cells and are more durable, but they aren’t pliable or flexible and must be contained in mounted solar panels. They can be further taxonified into monocrystalline or polycrystalline cells. So which is better for your hot-weather home? The older style, crystalline silicon cells, typically fare better in high temperatures. They usually have a lower temperature coefficient—the ratio of how much output the cells lose when the unit is hotter. Counterintuitive though it may seem, a lower coefficient actually indicates better overall performance, and a higher ability to withstand hot temperatures without losing output. Your solar salesperson should be able to explain more about each module’s temperature coefficient and give you all the details. Beyond the temperature coefficient, solar panels come with other ratings that help you predict their efficiency. But decoding the different measurements means first learning a little bit about what they mean. For instance, there’s the Standard Test Conditions rating—or STC—which lets you know how the unit performs in factory test settings. Usually, that means a temperature of around 77 degrees Fahrenheit. 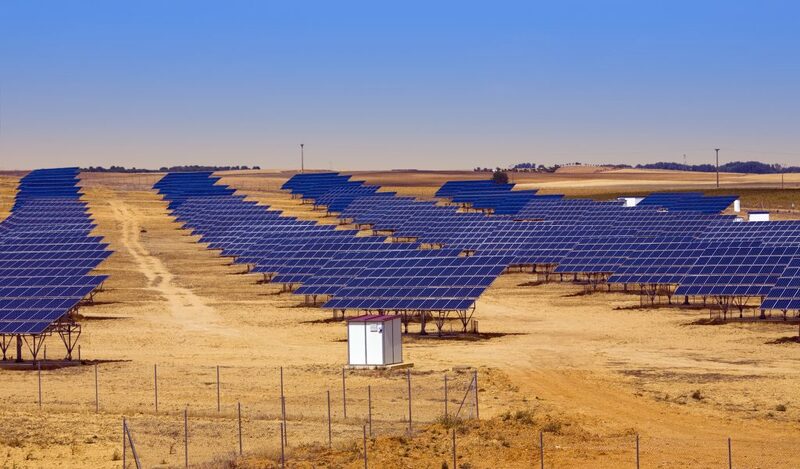 Of course, in the real world, temperatures rarely stay a comfortable, consistent 77 degrees year round—that’s why the National Renewable Energy Laboratory developed the Photovoltaics for Utility Scale Applications Test Conditions—or PTC for short. Both PTC and STC are expressed in watts, and usually somewhere between 70 to 300. Comparing both numbers for a single module will help you understand the dropoff when temperature rises above 77 degrees. For instance, if you have panels with an STC of 230 but a PTC of 180, you know that there’s a pretty significant difference between the two. In fact, when the weather gets hot, your unit only operates at about three-fourths of its efficiency. That’s a pretty sharp decrease! If you want to learn more about the various PTCs of different brands and compare the performance, the Go Solar California page has put together a pretty nice list of PTC ratings for various modules. It’s a lot of information to chew over—however, when it comes time to purchase your unit, knowing your system’s performance ratings will definitely let you have your day in the sun!